Bone cysts are a condition that frustrate horse owners, and although they are a relatively common occurrence, how and why they develop is still not fully understood or agreed upon. Bone cysts are cyst-like structures that develop below the articular cartilage surface of joints. They can result from direct trauma to the articular surface, or they can be one outcome of a developmental condition called osteochondrosis. Bone cysts should not be confused with osteochondrosis dessicans (OCD) as this pertains to articular cartilage flaps and loose fragments within the joint. OCD presents differently from bone cysts and requires different treatment. A cartilage template precedes bone formation in young growing bone. Failure of this cartilage to mature to bone (endochondral ossification) can lead to the degeneration of the malformed cartilage and the formation of a bone cyst. The association with young growing bones is why this condition is most typically seen in horses aged 6 months to 3 years of age. Occasionally bone cysts have been seen to develop in mature horses. These cases have been attributed to trauma to the joint. The most common site for bone cysts is in the stifle. Other joints typically involved are the fetlock and occasionally the carpus however any joint may potentially develop a bone cyst. The typical history of a horse with a bone cyst is intermittent lameness of varying severity which appears when the horse begins training or following increased intensity of training. The lameness usually decreases or resolves with rest. The affected joint may also show evidence of swelling but this is difficult to detect in the stifle joint. Bone cysts are a complicated disease with many factors interacting to cause lesions. Although the full extent of factors involved is still being determined, the major contributing factors identified thus far are nutrition, trauma, and genetics. In order for cartilage and bone to grow normally, a certain level of stress must be placed on the joints during development. Problems can arise when young horses are overworked and increased amounts of pressure are placed on the joints and developing cartilage. Conversely, problems also arise when young horses are confined and limited pressure is applied to the joints causing atrophy of the cartilage. These abnormalities in cartilage can then lead to a bone cyst. Lesions have been reproduced in clinical trials supporting this theory of bone cyst development. If trauma occurs to a joint during a period of rapid growth damage to the cartilage can occur. Similarly damage to a mature joint can compromise the integrity of the underlying articular bone and can form a bone cyst. This may account for single site deformities and the development of bone cysts in older horses. The diet of young growing horses has been shown to have a direct link to the development of bone cysts. Diets with excess energy have experimentally been shown to cause osteochondrosis. This excess energy can sometimes be sourced from the mare’s feed so it is preferable to restrict access. It is recommended that for young growing horses the amount of hard feed in their diet be reduced, ideally, to zero, and to allow free choice to good quality hay. Other contributing dietary factors which can cause cartilage defects are copper or calcium deficiency or phosphorous excess. It is important that these minerals be in balance as a diet with sufficient energy but deficient minerals can lead to bone lesions. Mineral supplements are recommended to provide a balanced diet, although it is preferable to have an on farm feed analysis performed to identify deficiencies and excesses. Protein is commonly implicated in this disease however experimentally there has been no detriment found to feeding excess protein in relation to osteochondrosis. Diets deficient in protein will lead to a reduced growth rate. 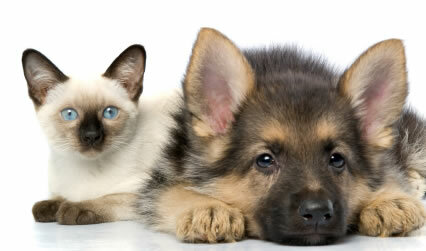 For more detailed dietary recommendations contact your veterinarian. The degree of heritability of osteochondrosis is still to be determined. Horses that have no evidence of bone cysts on radiographs can have offspring that develop bone cysts and conversely horses with bone cysts can have sound offspring. Given the uncertainty surrounding this factor it is recommended to check the stallion and his offspring for occurrences of bone cysts before breeding. The growth rate of young horses has not been shown to directly correlate to the development of bone cysts however anecdotally it is the large, rapidly growing horses that are most commonly affected. It is still unclear as to how this factor interacts with other predisposing factors such as nutrition and exercise. Diagnosis of a bone cyst involves a thorough lameness evaluation to eliminate other sources of lameness, nerve or joint blocks may be indicated. Radiographs are necessary for a definitive diagnosis as they may reveal the presence of a bone cyst. If a bone cyst is identified it is important to radiograph the corresponding joint in the opposite leg as there may be bilateral leg involvement, although one lesion may be clinically silent. Treatment of bone cysts can be conservative or surgical. Conservative treatment involves rest and anti-inflammatory medication, which can involve injecting the joints with corticosteroids and or hyaluronic acid. This can resolve lameness in some horses but not commonly. Conservative treatment works when the horse returns to a lower intensity training program or changes disciplines. The success of conservative treatment can depend on which joints are involved. Surgical treatment includes surgical curettage of the cyst or by injection of corticosteroids into the cyst. Surgery is most frequently performed arthroscopically via keyhole and less commonly by drilling into the cysts from outside the joint. In adjunct to surgery, intra-articular injections of corticosteroids, hyaluronic acid or IRAP may be used. The success of surgical treatment is variable and can depend on the severity of the lesions, however it does provide a better prognosis for return to the desired level of performance as compared to conservative treatment on its own. Although the mechanisms behind the development of bone cysts are not fully understood, there are some guidelines to help reduce the risk of their development. Ensure you breed with a stallion that does not have signs of osteochondrosis, avoid confining your foal to a stable, and ensure a balanced diet is provided particularly avoiding excess energy content.